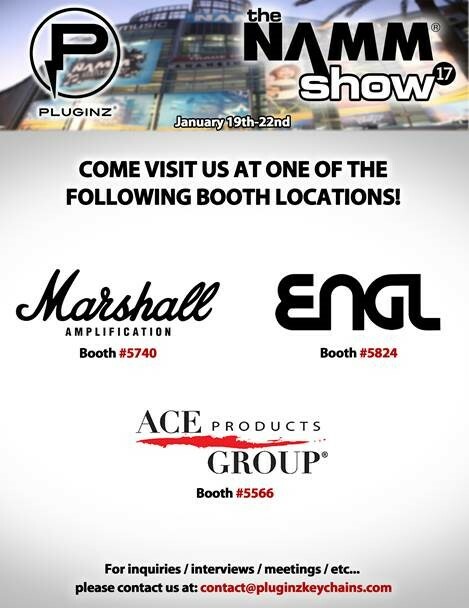 Visit PLUGINZ and Check Out “The Jack Rack” at NAMM Show 2017! updated on where you can check out the Jack Rack at NAMM! or via top music gear retailers Guitar Center and Musician’s Friend. lanyards, necklaces, gift cards and more. your own Jack Rack, you can customize them for your business or brand, too. your very own Jack Rack, email Pluginz at: contact@pluginzkeychains.com. Alt 98.7, OC Weekly and many more. Taiwan and Australia, in addition to their website at www.thejackrack.com. about The Jack Rack across the globe.